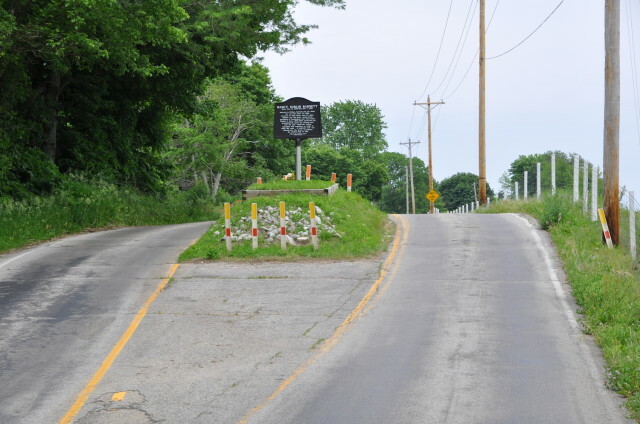 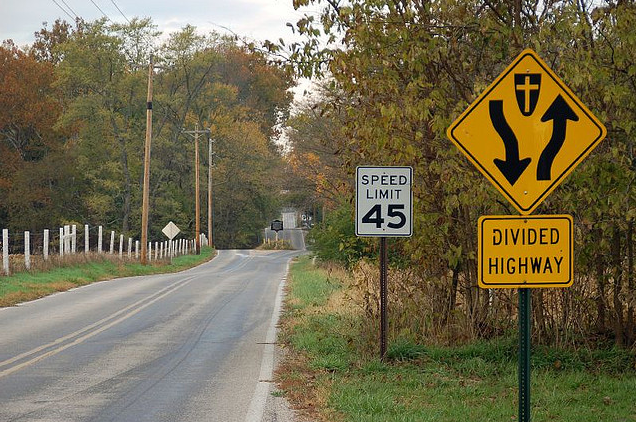 On a rural stretch of County Road 400 in Amity, Indiana, the road splits around a small mound of earth located in the center of the roadway. 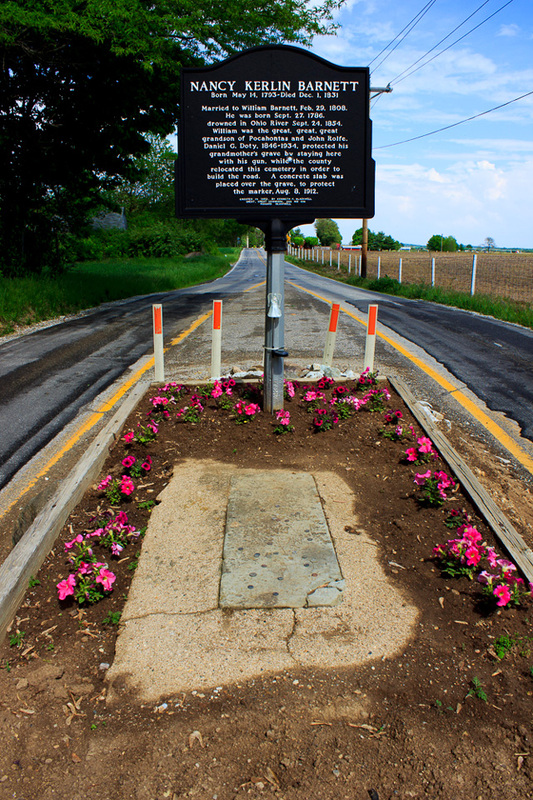 That mound is the grave of Nancy Kerlin Barnett (1793-1831) and it is in the middle of the road for a most unusual reason. 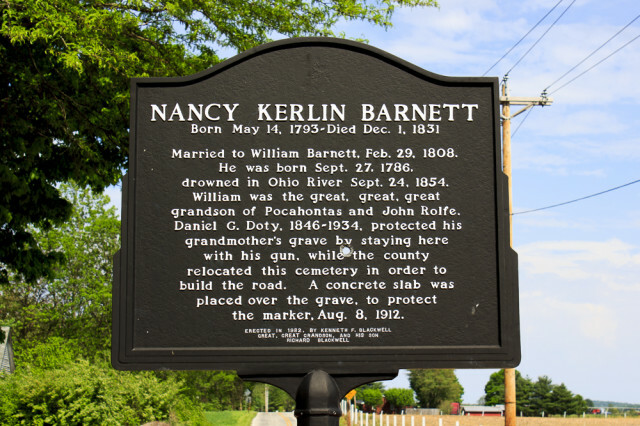 As the 1912 historical marker at the site explains, when the county planned to run a road through the cemetery in which Barnett was laid to rest, her grandson Daniel Doty guarded the plot with a gun until the county relented and built the road around the grave.